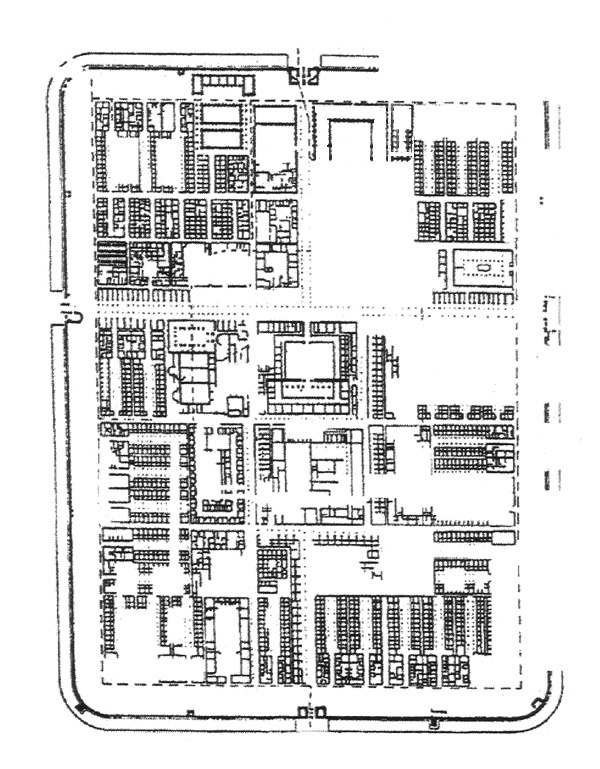 The whole ground plan-drawn by Constantin Koenen - clearly shows the completeness of the excavations of the legionary fortress at Neuss. Only a small part of the excavation site was not recorded . For the reconstructions the main buildings were begun with; followed by the camp walls with towers and gateways. The barracks of the infantry and cavalry, warehouses and the Scholae came last. Because barracks and the residential buildings of the tribunes were very much alike only two special complexes were reconstructed for both. 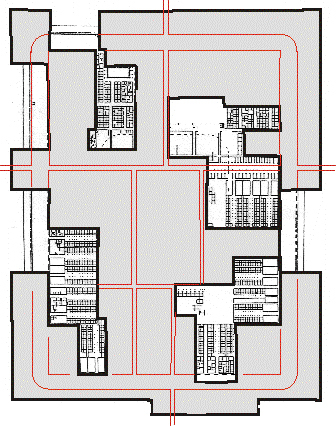 The ground-plan shows the total area of the excavations. The grey part covers the area of the previons reconstructione.